Browse our collection of 2 Witches T-Shirts and more. Designed and printed in the USA. 100% Satisfaction Guaranteed. About this Design You don't have time to workout, you have spells to cast! Show off your lazy fitness with this "Exercise? 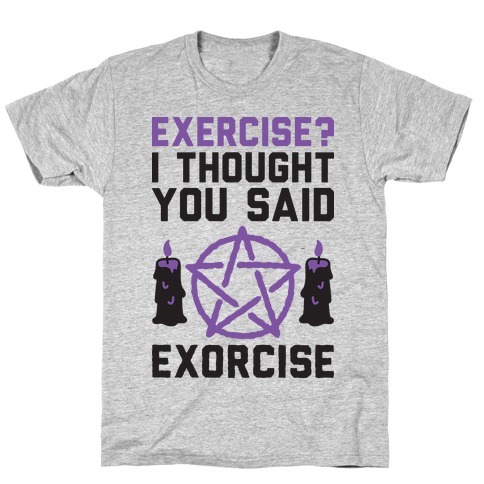 I Though You Said Exorcise" witchy workout design! Perfect for a lazy witch, casting spells, fitness humor, lazy workout, and exorcising as your fitness routine! You don't have time to workout, you have spells to cast! Show off your lazy fitness with this "Exercise? 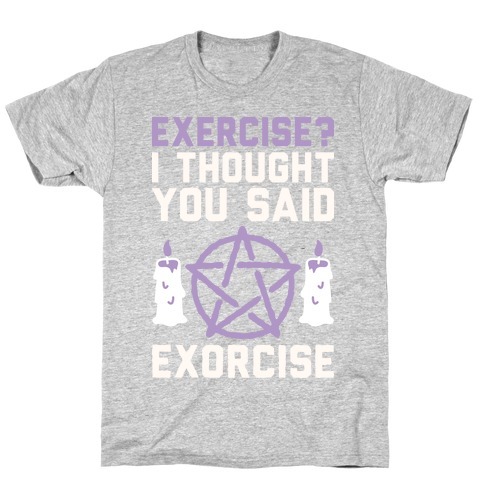 I Though You Said Exorcise" witchy workout design! Perfect for a lazy witch, casting spells, fitness humor, lazy workout, and exorcising as your fitness routine!